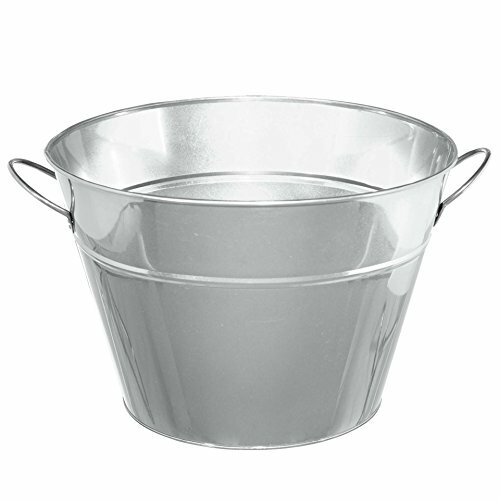 Our Silver Metal Party Tub is the perfect place to chill your drinks at a backyard party or tailgating. Just add ice then layer with your canned or bottled drinks on for a convenient frosty sensation. Party tub measures 17-34-inch by 15-inch by 10-14-inch in diameter.